This time next week Wonderwool will be over for another year, and Mark and I will be in tired heaps in our lovely little holiday cottage, hopefully around the outside of a bottle of nice wine and lots of sausages. So here we are, some sock yarn was dyed yesterday, and all my fibre is now packed and labelled and will be stuffed into the appropriate bags later tonight. 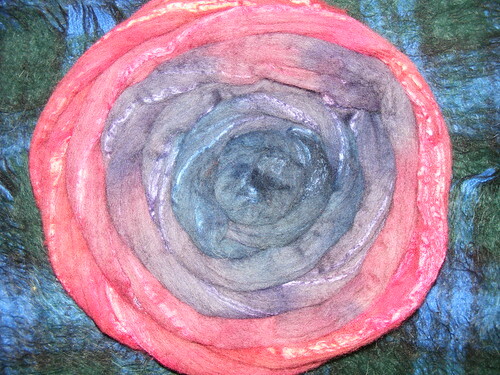 There's have a dyed fleece that still needs weighing out and bagging, but that won't be done for Wonderwool. 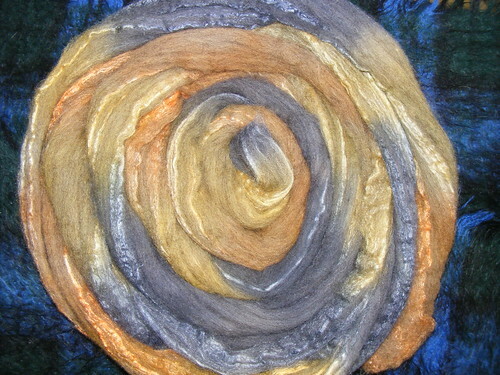 I really don't want to sell this - Falling Leaves on black bfl/silk. I have it on oatmeal and white too, but not too much of it. 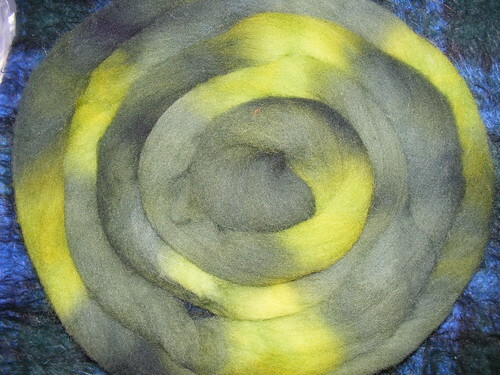 Grey shetland/silk dyed in Vivien. 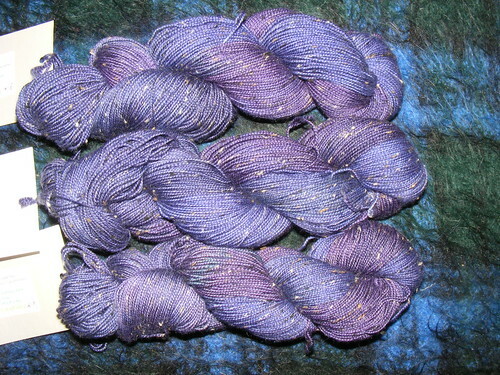 Some of the Arthurian colourways came out again recently. The depth of colour here really is what it looks like. 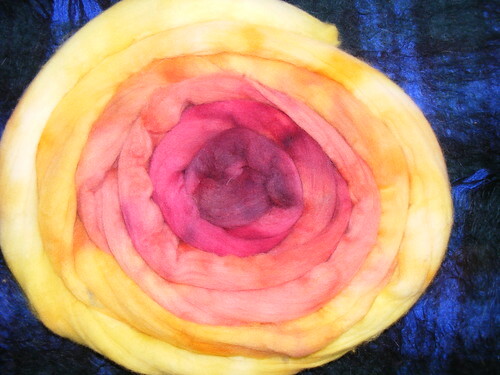 White Dorset Horn dyed in Grail. Dorset Horn is a perfect hosiery wool - bouncy, airy, hardwearing, but not really coarse. Lovely sheen and depth of colour in Peacock on Wensleydale. 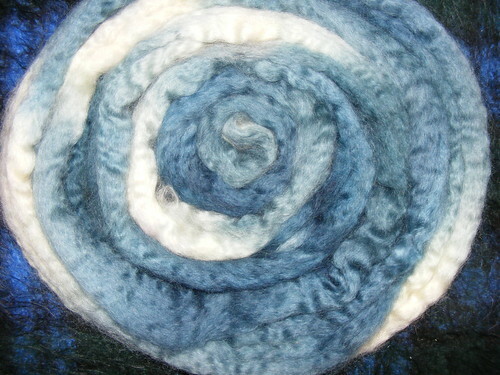 More Wensleydale: Snow on Cedars - the shading that will be drawn out as this is spun will be rather lovely. Oddly, this is the only one that the camera has lied about the colour - it's Spring Green on Dorset Horn, and it's much greener in real life. 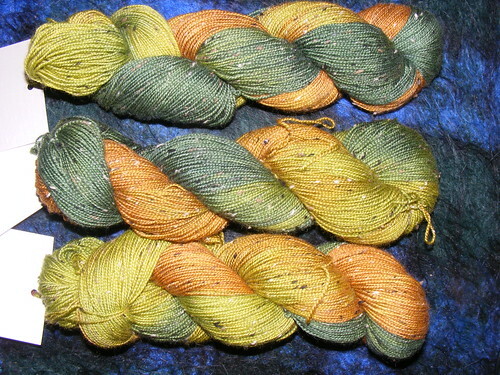 Yarn now - the lovely donegal nep BFL sock yarn, in Falling Leaves. One of my most popular colourways - Gothick. It's rather purpler than this shows. 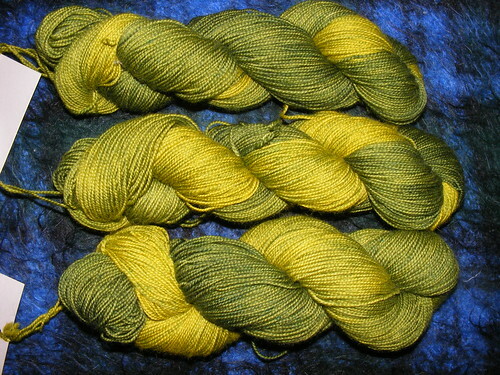 Probably my favourite colour of them all - Dryad, this time on bfl/nylon sock yarn. 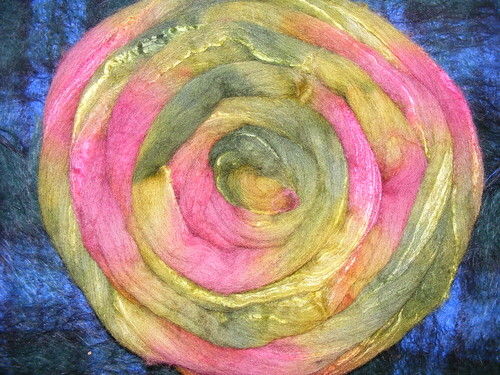 And Wild Thyme on bfl/nylon. Another of my greens. 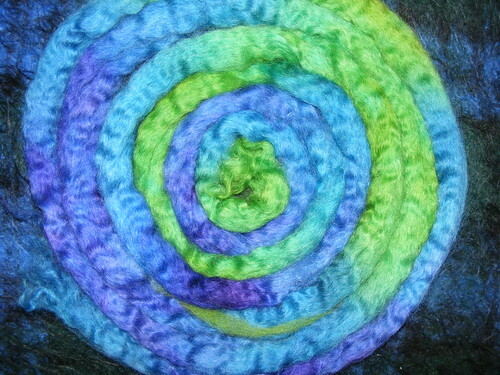 Did you know I like green wool and yarn? 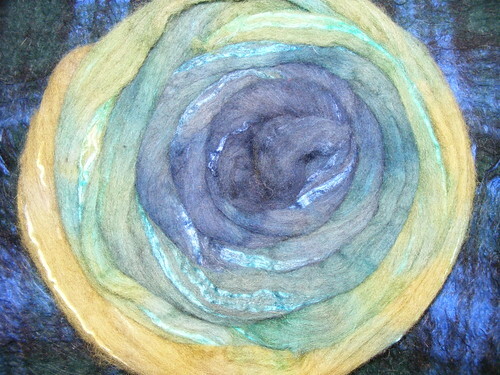 So yes, all the fibre and yarn is ready for Wonderwool. The change has been replenished. I shall write my usual list tomorrow or Tuesday, and everything for the stall and our holiday will be gathered in a huge pile in our sitting room on Wednesday. And then I fit it all into the van, somehow managing to leave space for Lunil in the back too. Bil will be wedged between my knees in the front footwell, and I will knit on top of his head. Hope to see lots of people down there. 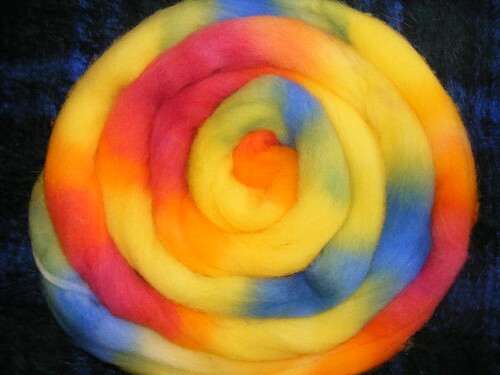 A couple more wools added to the repertoire, a couple of new colours, and some existing ones on different fibres. 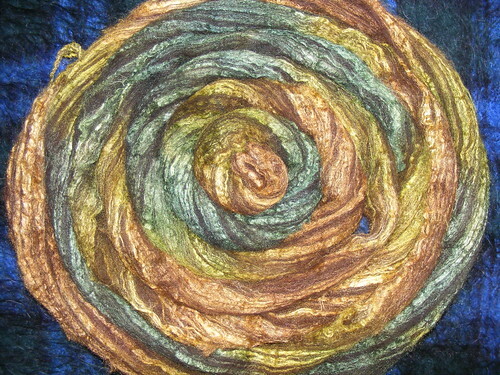 It's less than a fortnight til Wonderwool - will I see you there? 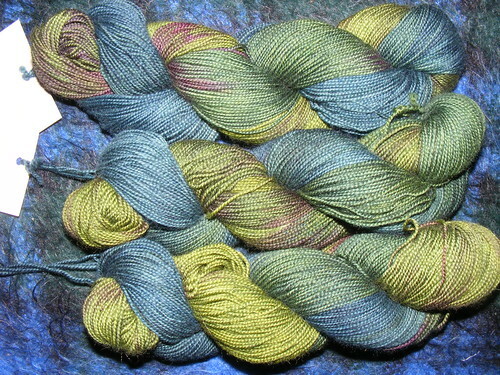 Gothick on grey shetland/silk. 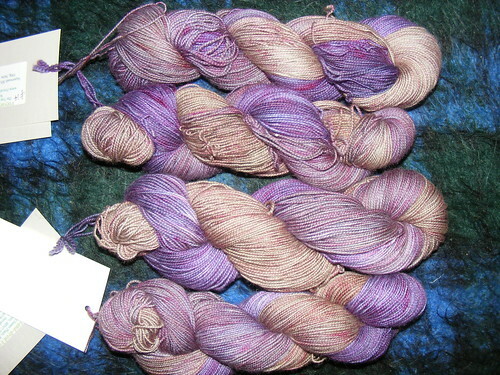 Gothick is my slightly pinker purple, with odd bits of dark green streaking through. 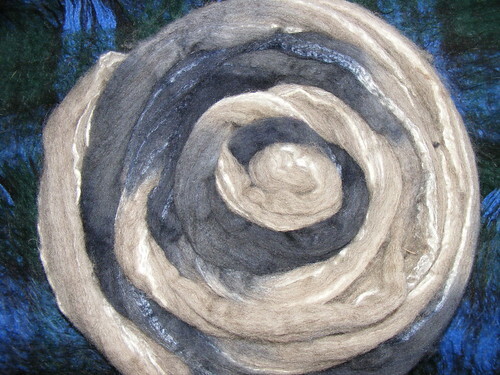 Half Moon on grey shetland/silk. Surprisingly effective in both fibre and yarn. 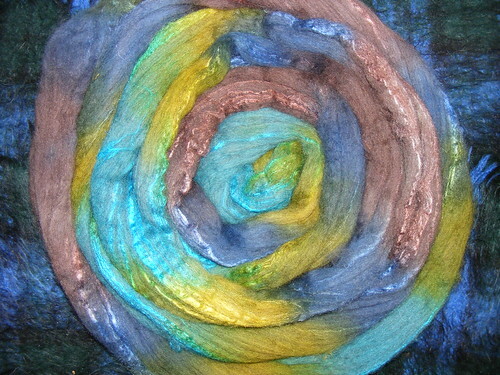 There are all sorts of shades that are pulled out the boundaries between the deep blue and undyed fibre when it's spun out. 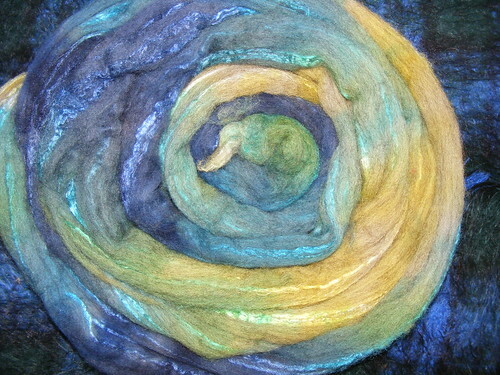 Dragonfly looks slightly different on the grey shetland/silk. As does Gold Mine. 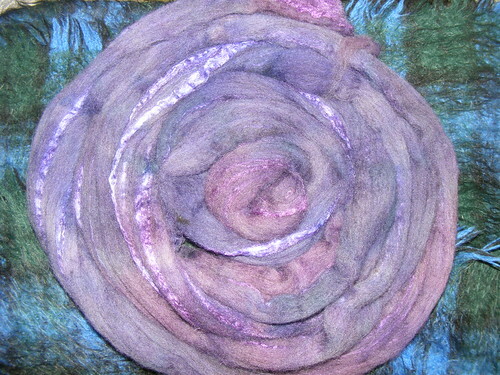 This blend isn't as completely blended as the BFL/silk blend I have, so there are brilliantly shiny streaks of silk ribboning through the duller wool. And then Green Chameleon. This is the ordinary colourway on grey shetland/silk. This is the same, but gradated along the length of the top. 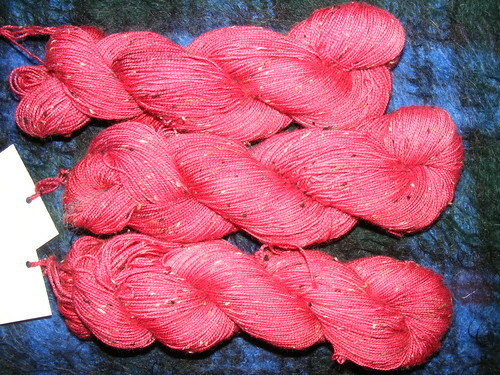 And then on a fine, slightly bouncy merino, again in the long colourway. 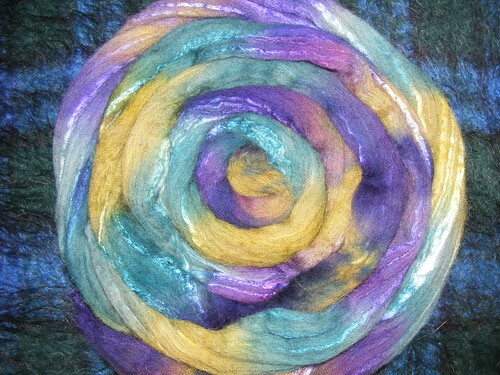 This would make a lovely scarf or even a shawl, if spun finer. 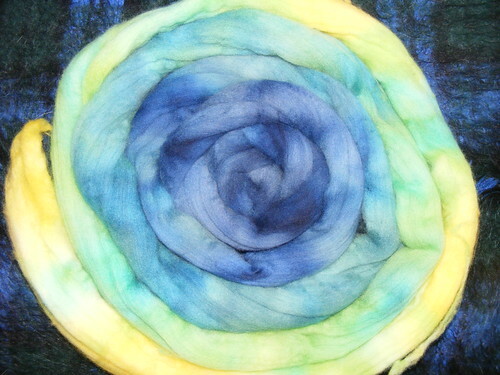 Remember, I can always dye to order if you need more than just 100g. 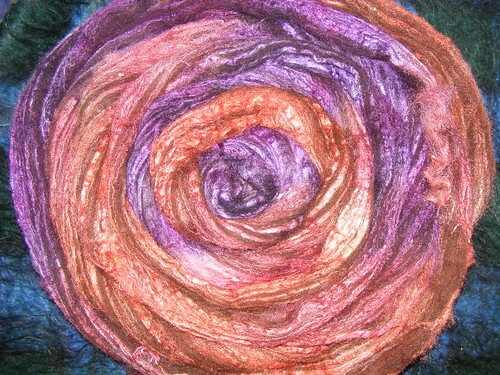 Red Chameleon, long colourway, on the grey shetland/silk. This is on merino too. Beacon (long) on merino. I'm really pleased with the depth of the red shading to the bright pale yellow. 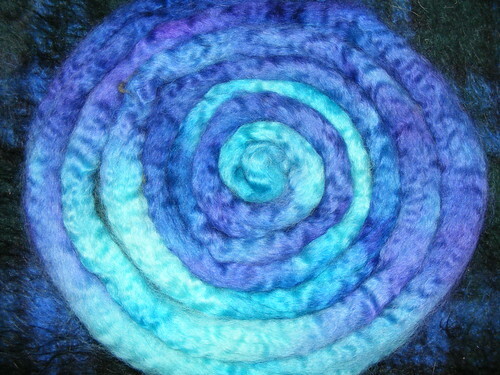 There will be more posted before Wonderwool. I'd planned to do more this weekend - there's more yarn and fibre drying - but I need to have everything packed and labelled by the end of next weekend.